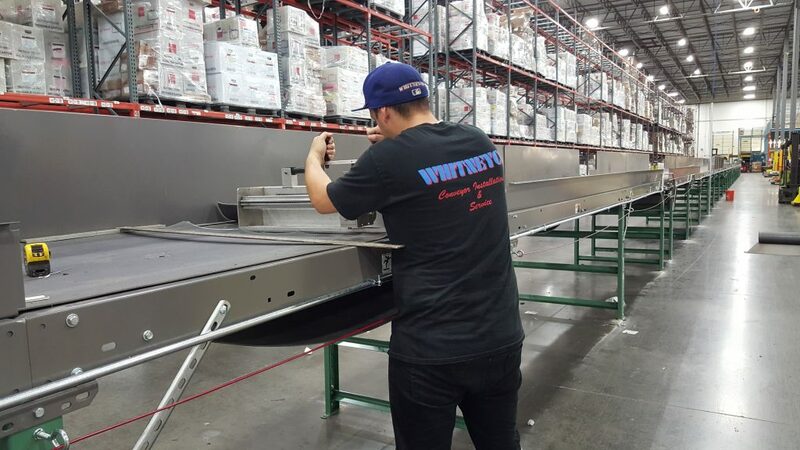 Maximize the efficiency of your entire operation when you establish a partnership with Whitneyco Conveyor, Inc. The Dallas-Fort Worth Metroplex is a hub of distribution and manufacturing in the southwest, and our approach to conveyor repairs help businesses grow and be profitable. Major warehouses and distribution centers across our area depend on their conveyor systems 24/7. Any breakdown can lead to downtime and financial losses. At the first sign of trouble, make the call to our prompt and courteous team for the conveyor repair you need. Our group of maintenance and installation specialists is ready to snap into action at a moment’s notice. As your company grows, we can help you relocate your conveyor systems to a new facility with minimal downtime and competitive pricing. We make safety our priority, and we back every project we take on with warrantied craftsmanship you can count on. Our company has been delivering quality conveyor repair, installations and maintenance for more than three decades. We have grown with this area, and we are proud of the track record for performance that we have built during that time. This company was founded by Bill Whitney in 1986 with a focus on the conveyor systems that are the backbone of every distribution center and warehouse. Bill and his Service Manager Lester have been installing, repairing, and maintaining conveyors in North Texas since 1980 and have over 72 years of combined conveyor experience! We are ready to serve you in whatever way we can. When the time comes to expand your operation and broaden your footprint, our company can help you with a broad array of options. 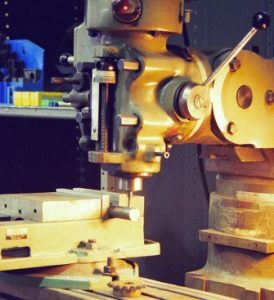 Our Lewisville facility houses our machine and fabrication shop and a vast array of conveyor parts. We commonly manufacture parts for old conveyors that are no longer available. We often machine keyways in drive shafts after hours when the supply houses are closed for the day and get our customers up and running in the middle of the night. Avoid a costly breakdown that could bring your entire operation to a grinding halt by taking advantage of our preventative approach to conveyor maintenance. We understand that international business never sleeps, and that is why our team is ready to help whenever you face an emergency. We keep you connected, even when the time comes to relocate to a newer facility. Our group is ready to help you safely move your existing conveyor systems to a new location. When the time comes to expand your footprint with the opening of a new distribution center, we have an approach to installation that saves you time and money. Learn more about how our conveyor care can keep you moving without delay. When you have contracts with Fedex and UPS, you have to be the best in your industry. Contact us today for the conveyor repairs and solutions you need to keep your business operation functioning at peak efficiency. We proudly serve clients in the Dallas – Fort Worth Metroplex and Surrounding Communities.